With its stunning nature, its rich wildlife and its ancient forts and mosques, Bahrain attracts tourists from all over the world. The stunning archipelago is made up of more than 30 islands and comprises a multitude of tourist attractions. Easily accessible for people living in GCC, tourist attractions in Bahrain are very popular during summer. From towering skyscrapers to ancient souks, tourist attractions in Bahrain are varied and plentiful, some of them are globally popular and some are hidden gems. If you are planning to travel to Bahrain soon check out the best tourist attractions in Bahrain. Old Bahraini life can be clearly seen in this atmospheric old souq running through the heart of Muharraq Island. If you happen to visit the pearl of the Gulf, you have to check one of its historical Souqs. Ancient Souqs are some of the most popular tourist attractions in Bahrain. The market offers traditional clothing, jewelry, coffee, spices, and confectionary. It is one of the best places to buy the delicious traditional Bahraini sweets, especially the famous homemade halwa, which is perfect with a cup of qahwa. Near the southern end of Muharraq Souq, lies Souq Al Qaisariya. This market is one of the top tourist attractions in Bahrain. It is an integral part of the “Pearling, Testimony of an Island” project which is a 2 mile long road that describes the unique story of pearling in Bahrain. Pearling has been designated by UNESCO as a World Heritage listing in 2012. Located south of Muharraq, Bu Maher Fort was built during the Portuguese occupation of Bahrain. The first step on Pearling Trail, Bu Maher Fort and its coastline was the spot from which pearling dhows departed and returned. There is a visitor center next to the fort. It houses an illustrated map of the Pearling Trail as well as models of the sites that can be found along the way. In addition to that, there are daily trips by sea from the Bahrain National Museum to the Bu Maher Fort shore between 10:00 am and 6:00 pm. So you can make a day of it, check the marvelous museum, the stunning historical fort and a have a nice boat trip at the same time. 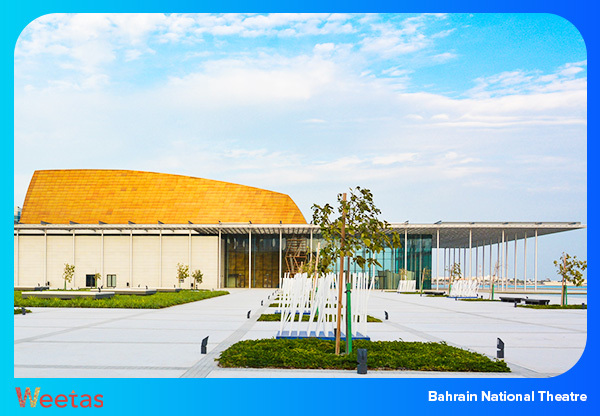 The first national theater in the Kingdom and one of its cultural icons, Bahrain National Theater is an architectural monument that was superbly designed. The design of the theatre pays tribute to the country’s sailing traditions. Complete with a surrounding courtyard that stretches to the edge of the sea, making the entire structure appear as if it is floating on water. Extending over an area of 11,869 square meters, The Bahrain National Theater is the third largest theater in the Arab world, it can accommodate 1,001 people; this was inspired by the tales of 1,001 Nights. Bahrain National Theatre is one of the top tourist attractions in Bahrain, both for the amazing shows you can catch there and for the beauty of the building. 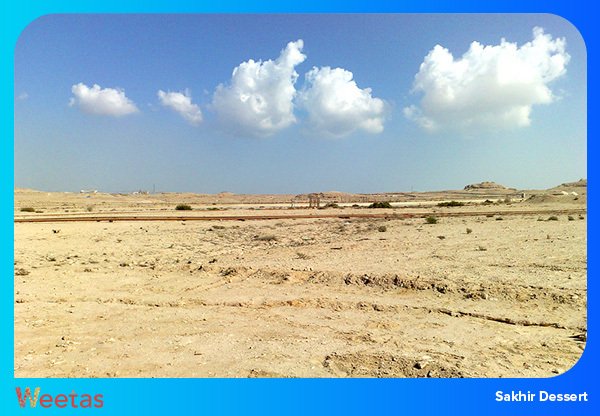 Sakhir desert is located in the Southern Governorate of the Kingdom of Bahrain. The dessert is the most famous camping site in Bahrain and one of the best stargazing locations in the Gulf region; numerous people go to Sakhir for camping. Because it is just half an hour away from the city center, many people head there to spend a lovely night under the starts and watch the marvelous sunrise in the dessert and then head home by morning. Some of the camping sites in Sakhir comprise modern amenities that make the camping experience a laid back and relaxing one. The area also comprises the Al-Sakhir Palace which was built in 1870, if you head to the dessert early you can check the palace before camping. Three temples from the ancient Dilmun civilization built on top of each other, with the oldest reaching back to 3000 BC. The second was built approximately 500 years later and the third added between 2100 BC and 2000 BC. Situated in the village of Barbar north of the Kingdom, Barbar Temples were built of limestone blocks. 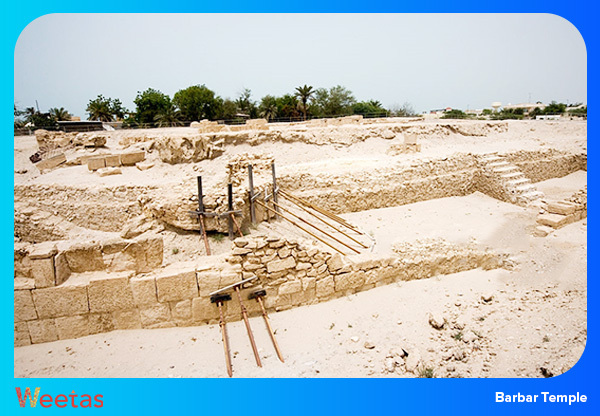 This historical site is one of the most significant tourist attractions in Bahrain. The temple contains two altars and a natural water spring, it is thought that they were constructed to worship Enki, the god of wisdom and freshwater in the Dilmun civilization, and his wife Nankhur Sak. Various tools, weapons, pottery and small pieces of gold were found during the excavation of the site. These findings are now on display in the Bahrain National Museum. The most famous of which is a bronze bull’s head. 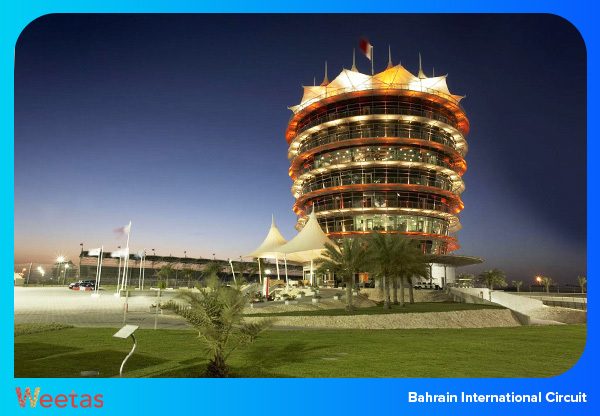 Opened in 2004, this motorsport venue is used for racing as well as the annual Bahrain Grand Prix. If you head there out of season you can book a private tour and check the whole circuit. It is an impressive visit that should not be missed. In 2007, Bahrain International Circuit was the first Grand Prix circuit to be awarded the distinguished FIA Institute Centre of Excellence award. The award was given for excellent safety, and medical facilities, and for the state of the art technology required to maintain these. Founded in a renovated traditional Bahraini house in the heart of Hoora, this is one of the most stunning tourist attractions in Bahrain. 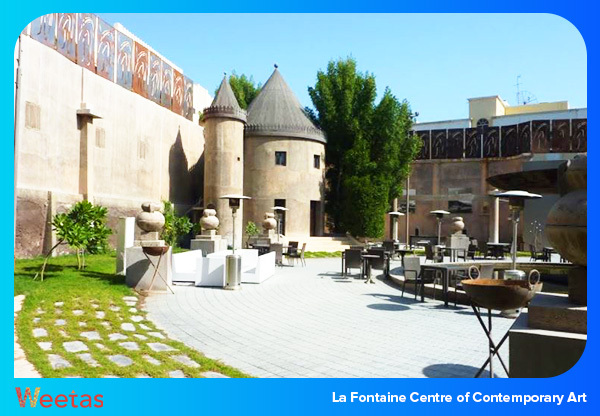 The place comprises a contemporary art gallery, which hosts regular exhibitions by local and international artists, as well as a beautiful outdoor courtyard, which features a grand fountain and a fine dining European restaurant.